Region by region, season by season, this update to the classic fly-fishing manual contains all of the information about the structure, appearance, and habits of the insects that signal the favorite feeding times of various fish. 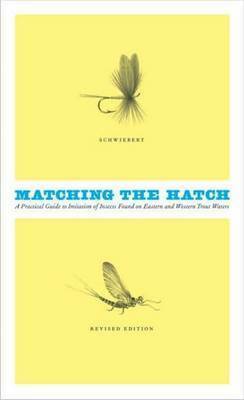 With commentary on dozens of mayflies, stone flies, and caddis flies as well as on crane flies, dragonflies, damsel flies, fish flies, backswimmers, and scuds, this is the ultimate resource for fly fishermen looking to understand the rivers to fish in various situations and how to identify the flies in their different stages. Along with this useful information, the guide is supplemented by large and detailed artwork of the insects as well as a review of the history of fly-fishing, thoughts on the ethics of angling, and anecdotes from the author's fly-fishing experience. Ernest G Schwiebert Jr. was a founding member of Trout Unlimited, the Federation of Flyfishers, and Theodore Gordon Flyfishers and a regular contributor to Esquire, Field & Stream, Fly Fisherman, the New York Times, and Sports Afield.